U.S. District Judge Charles Breyer said Volkswagen Group has made substantial progress in talks with the U.S. Justice Department and other government agencies toward resolving the fate of about 80,000 polluting diesel 3.0-liter vehicles. At a San Francisco court hearing on Thursday, Breyer set a Dec. 1 deadline for a report on the status of the talks and said he is "very optimistic" an agreement will be reached. VW previously agreed to spend up to $16.5 billion, including as much as $10.3 billion to buy back up to 475,000 polluting diesel 2.0-liter vehicles. 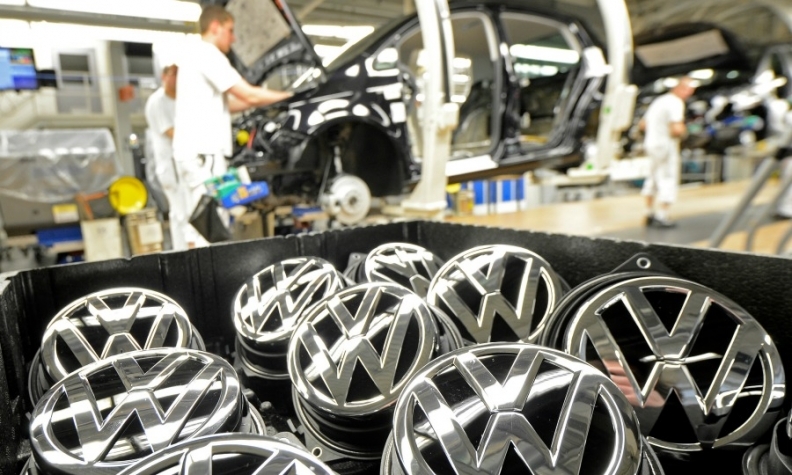 Volkswagen submitted proposed fixes for larger Porsche, Audi and Volkswagen diesel vehicles earlier this year and has been in intensive discussions with U.S. and California regulators. People briefed on the talks say VW may agree to buy back at least 21,000 older Volkswagen Touareg and Audi Q7 diesel vehicles and might only offer to repair the 60,000 newest ones if regulators agree, but no final agreements have been reached. If VW were required to repurchase all of the larger, more expensive 3.0-liter vehicles, its costs could increase by billions. They include the diesel Porsche Cayenne, Audi A6 Quattro, A7 Quattro, Audi A8 and Audi Q5. Among the undecided issues is how much Volkswagen may be willing to compensate owners of the 3.0-liter vehicles. VW agreed to offer owners of the 2.0-liter vehicles between $5,100 and $10,000 in compensation, in addition to the estimated value of the vehicle. The 2.0-liter diesel vehicles have software that allowed them to evade emissions rules in testing and emit up to 40 times legally allowable emissions in onroad driving. The 3.0-liter vehicles have an undeclared auxiliary emissions system that allowed the vehicles to emit up to nine times allowable limits. VW has been barred from selling diesel vehicles in the U.S. since 2015 and has said it has not decided whether it will resume U.S. diesel sales.